Patient with known Crohn's disease with involvement of aboral ileum and a segment in the mid-part of the small bowell. The extent of the disease was first recognized on CT enterography (last two images). 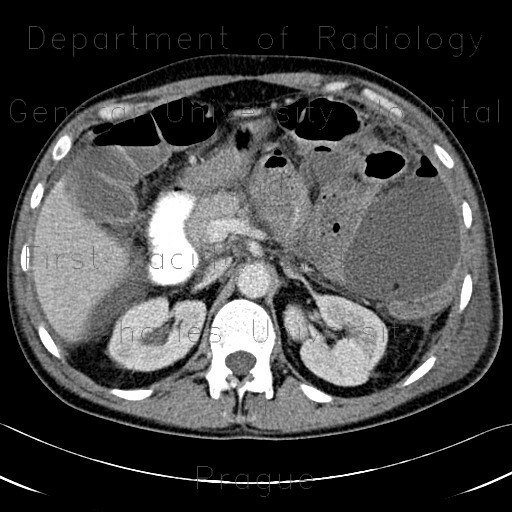 Later, the patient presented with acute abdomen and a routine CT with iodine peroral contrast was performed, which showed formation of gigantic thin-walled abscess with an air-fluid level, most likely due to perforation of the bowel.